Eric Topol, Director of the Scripps Translational Science Institute and author of The Creative Destruction of Medicine, is also working on this. Among other things, he advocates remote monitoring, digital connections with patients (including video and secure chat appointments out of hospital), and other similar ideas. If you can obtain remote vitals from a web-enabled BP/HR/SpO2/temp machine, you could do the rest of the visit via video. Web-enabled, remote monitoring has the potential to replace many of the devices we use in clinic: vitals as above, home sleep studies, PFTs, blood glucose monitoring, etc, and eliminate the visit. Interactive kiosks or health self-treatment based on CPGs and accepted algorithms could allow patients to read about treatment options including risks, benefits, and alternatives and choose their preferred treatment (with true informed consent and shared decision-making). The question we should ask is not "what can we automate or do remotely?" but rather "what do we need to do face to face with a provider?" There's an open source prototype based on the Patient Centered Medical Home model that we developed in consultation with folks at WRNMMC through funding provided by TATRC. Called HealthBoard, it provides two portals - patient and provider, and is structured around preventive care. The target audience was active duty military personnel but could service a larger population. The prototype was designed to rely on both self-reported health by the patient augmented with medical records information from the provider, but allow the two to interact remotely (thus the medical home). It can also integrate functionality like video conferencing, could collect information from wearable devices, etc. As it's a prototype presentation layer - there's no backend (yet) but other assets on OSEHRA (see www.osehra.org) or elsewhere might be used...something similar could probably be leveraged as a solution to increase patient / provider communication while still lowering burden on hospitals. 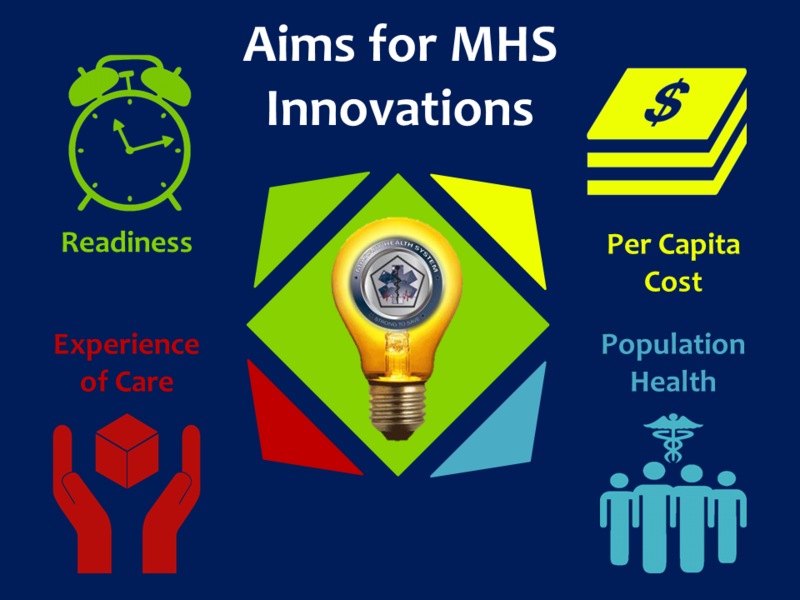 More information on the OS prototype can be found at http://www.osehra.org/group/healthboard if of interest.